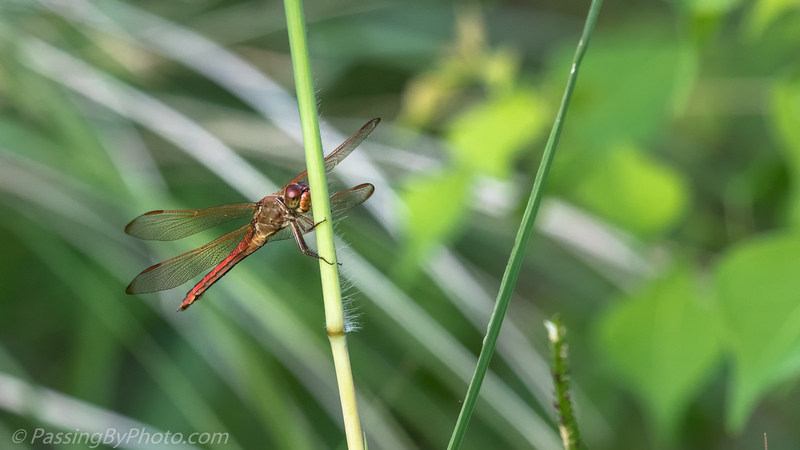 A number of dragonflies were zipping back and forth along the tall reads at the edge of a canal bordering old rice fields. 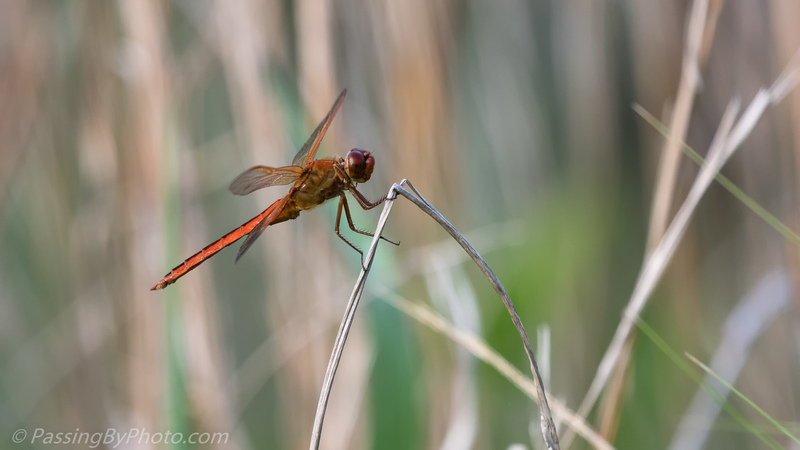 This one stood out from the others with a reddish-orange body and wings. He stopped on a number of stalks quite near the trail I was walking on. There was a good supply of smaller insects to keep him well fed, although I didn’t see him catch any. Fantastic iridescence, haven’t they? Great pic. Quite amazing, and so showy it seems they would make easy pickings for their predators. Thanks, Frank! 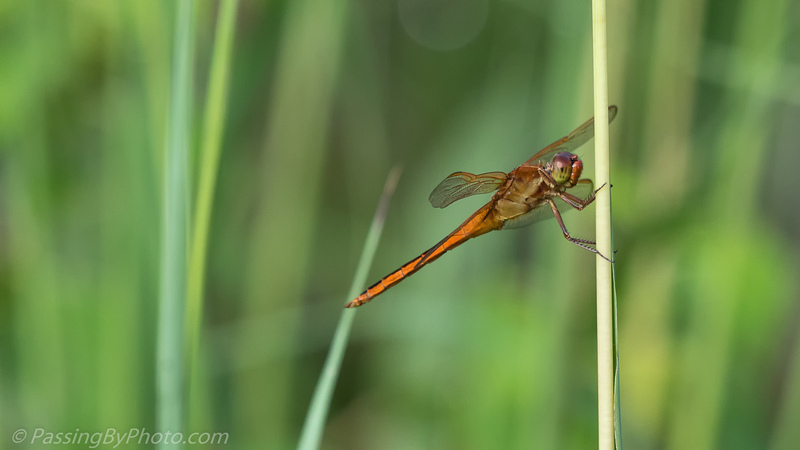 Wonderful shots, Ellen, of a really cool-looking dragonfly. It looks to me like it may be a Needham’s Skimmer, though I am not absolutely certain about that. Thanks, Mike, I was quite taken with the color! That was one of the options I had seen for the orange/red body, but wasn’t sure. Thanks, Belinda! We are seeing loads of them this summer, and more varieties than I remember, although I may just be paying more attention. Definitely pretty. Awesome shots, Ellen! Thanks, Donna! That was a day we saw very few birds so I was especially pleased to see something new.